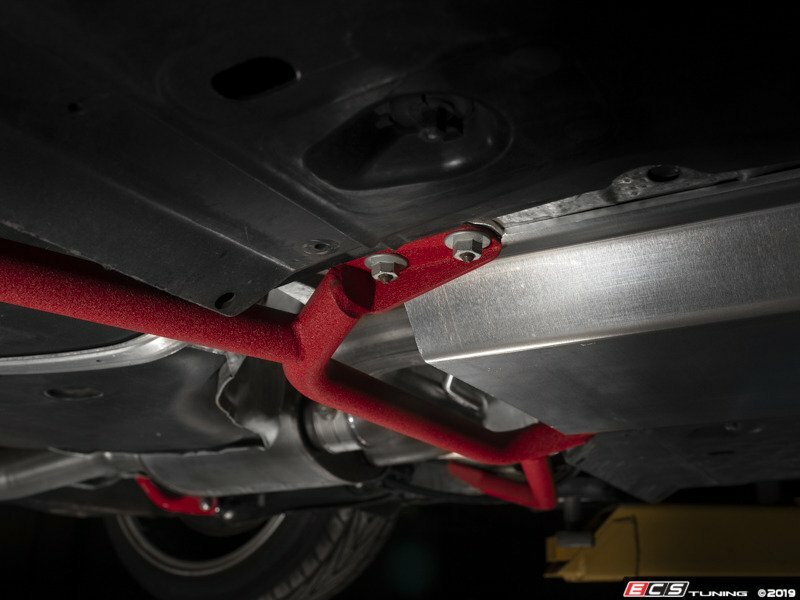 Triangulate the rear of your chassis with our bolt-in rear chassis brace kit! 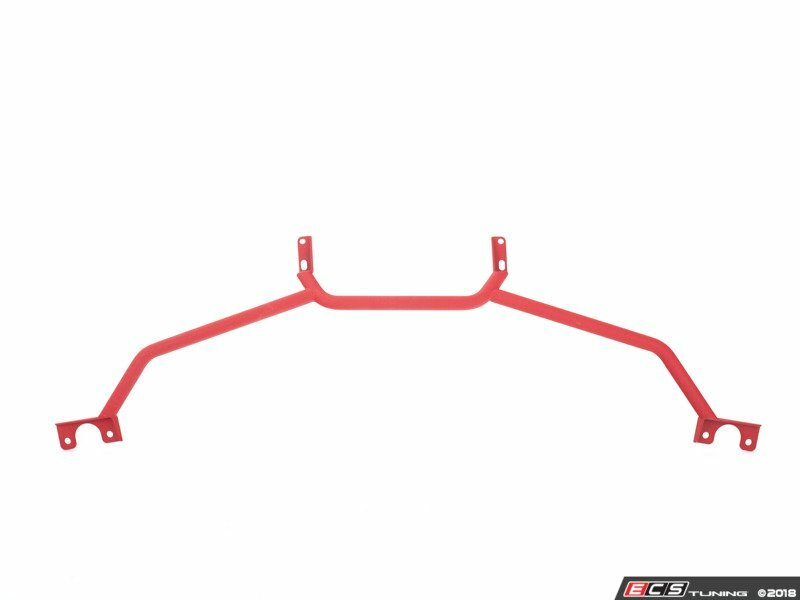 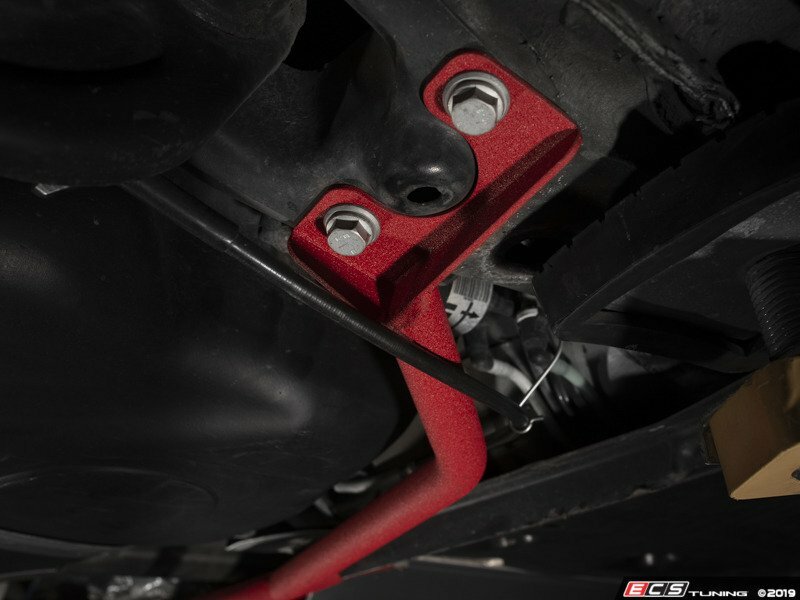 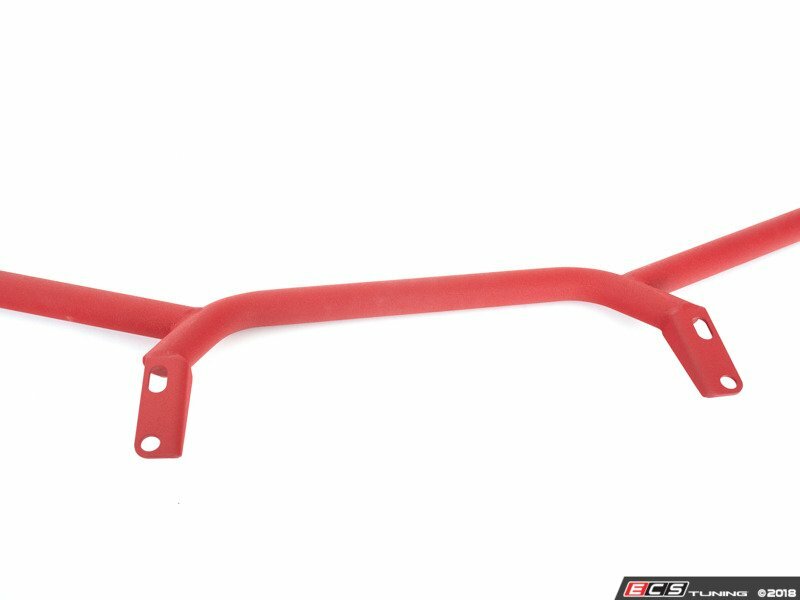 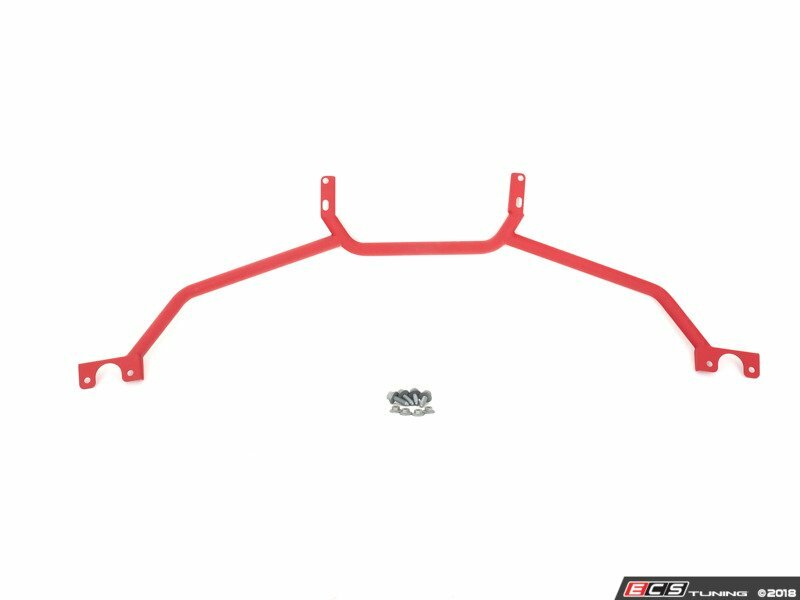 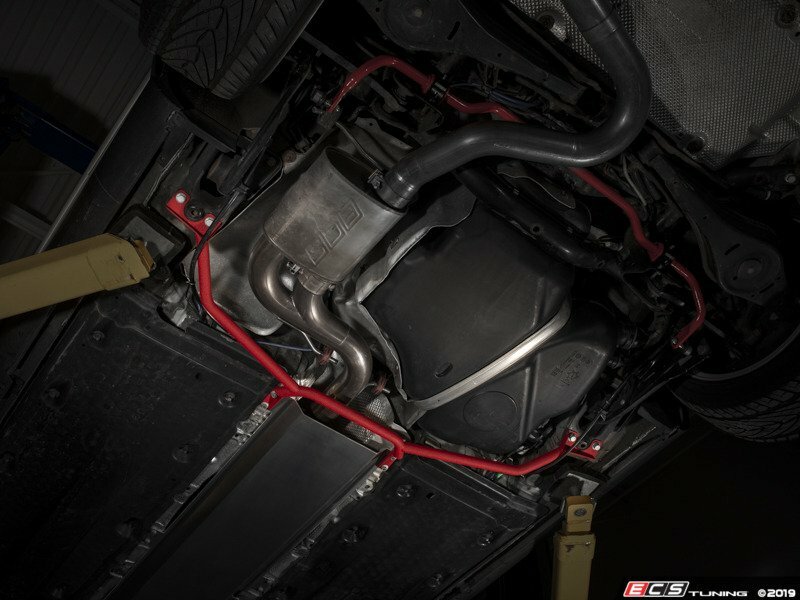 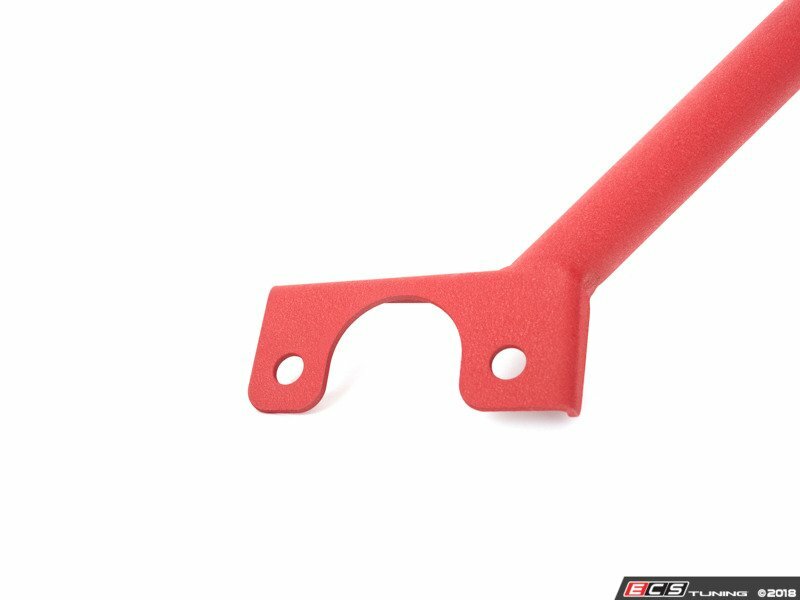 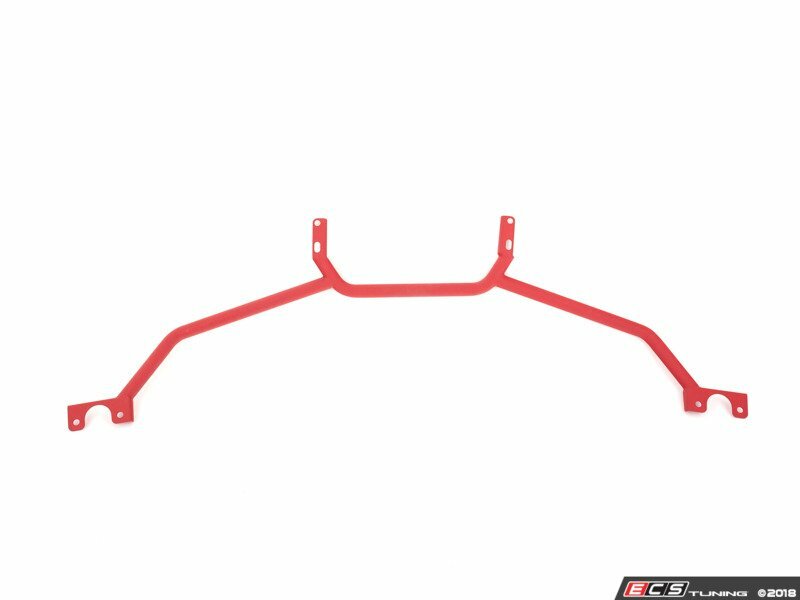 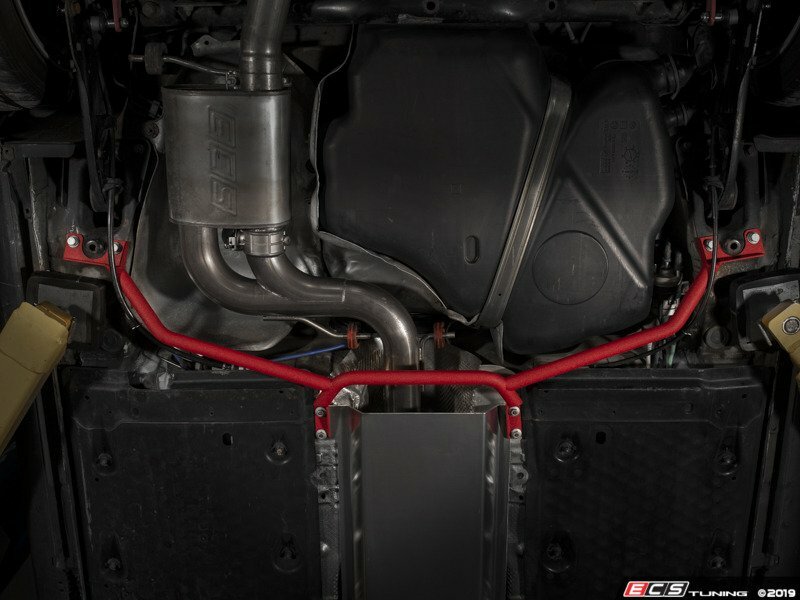 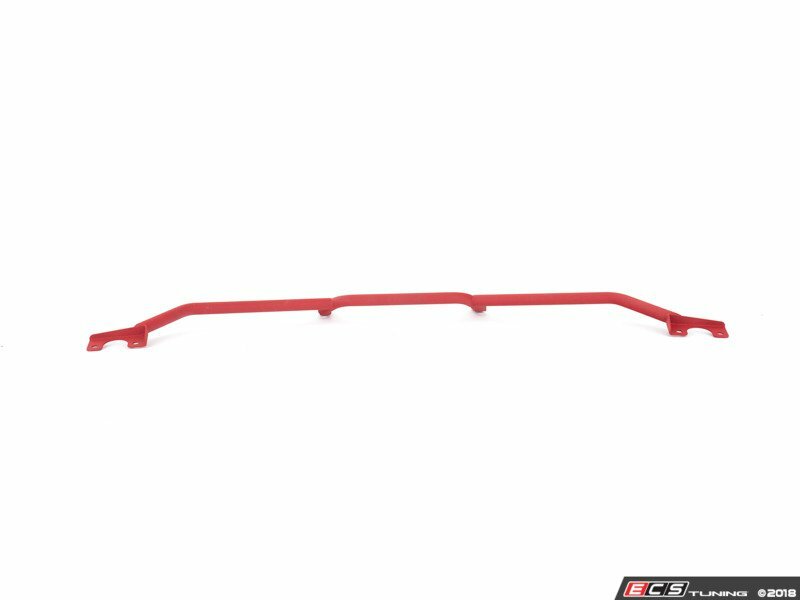 The ECS Tuning Rear Chassis Brace Kit bridges the gap between the mounting points of the trailing arm pockets and braces the weak rear tunnel areas. 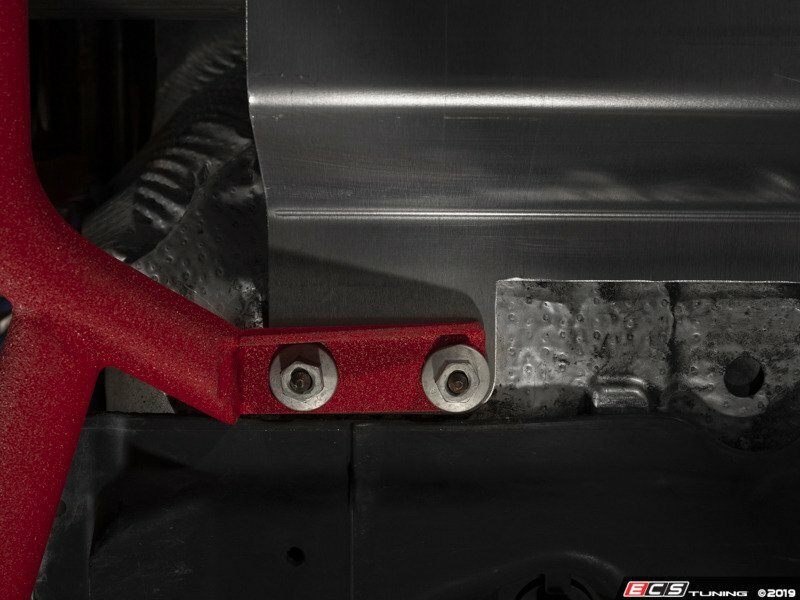 This triangulated bolt-on brace helps to increase structural rigidity of the floor and chassis area which helps to limit body roll. 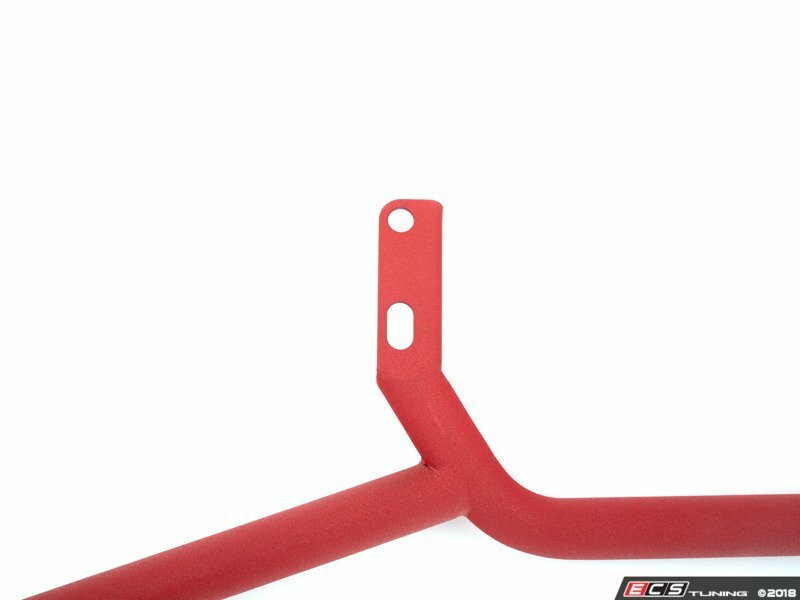 Beautifully powder coated your choice of wrinkle red or wrinkle black to offer both good looks and durability. 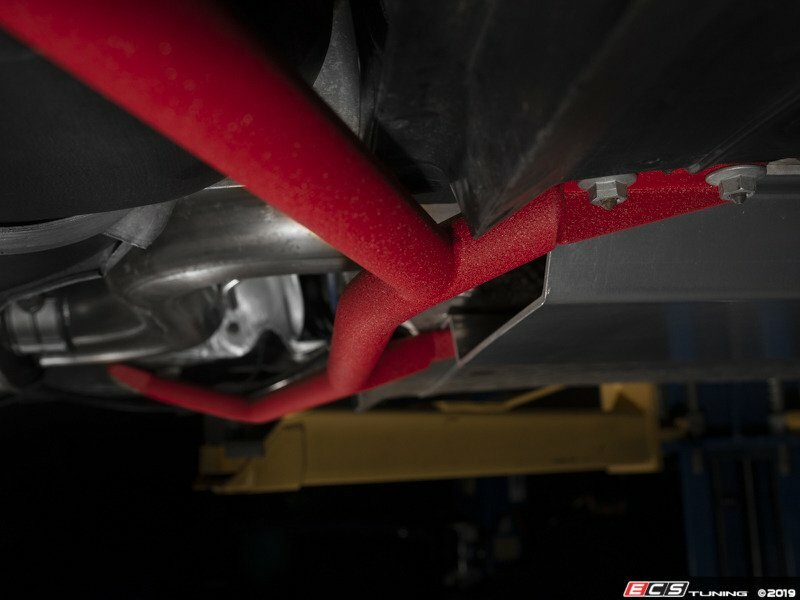 Mandrel bent DOM steel professionally TIG welded to chassis adapter plates. 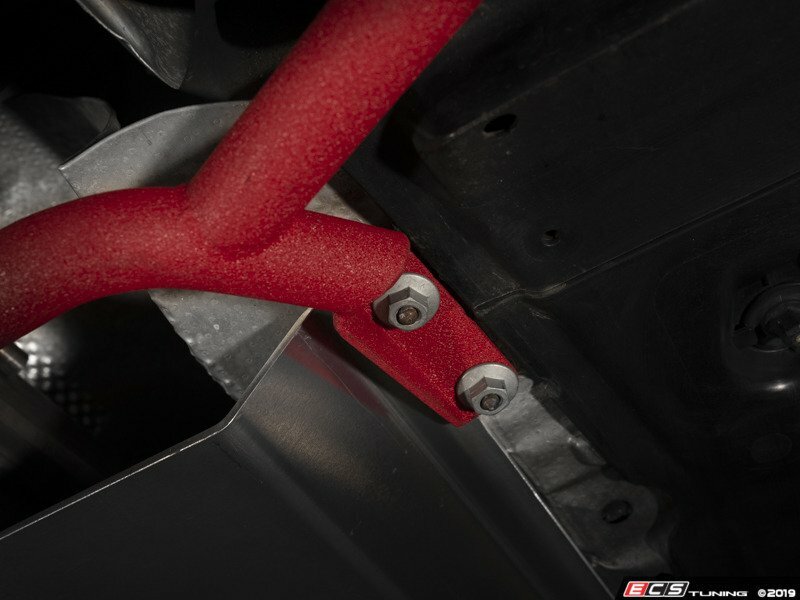 Precision engineered to fit 4Motion and FWD models. 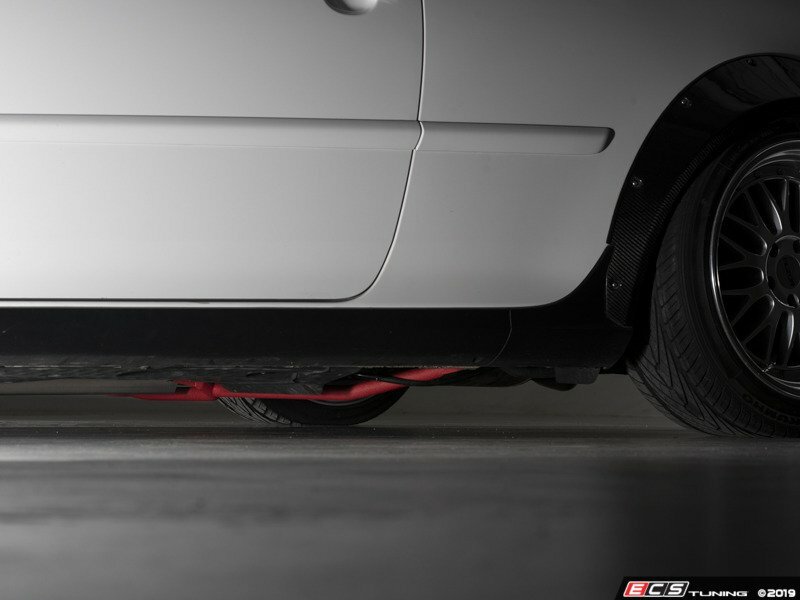 With the ECS Rear Chassis Brace in place, body roll is minimized. Our brace is a precision engineered structural component that ensures power is transferred properly and not lost through chassis flex, without any increase in NVH. 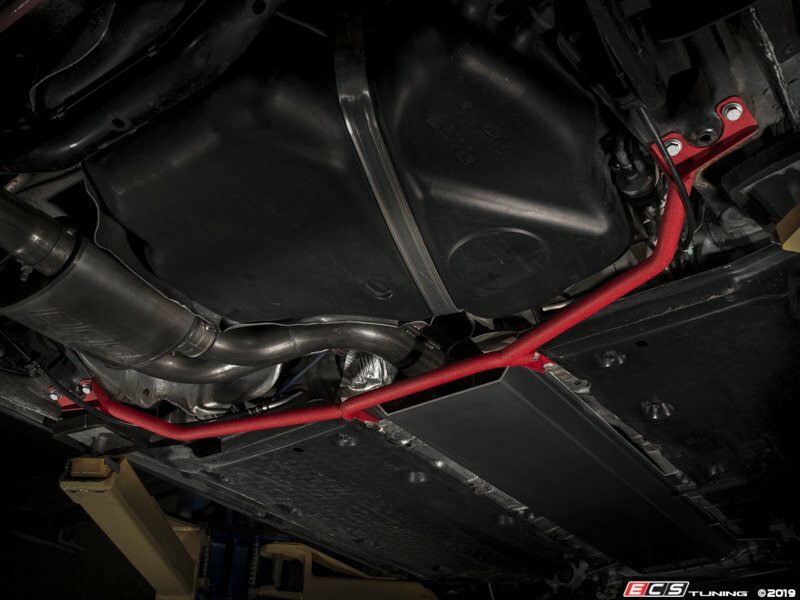 Our ECS Rear Chassis Brace Kit was designed, engineered, tested and quality inspected by our Research and Development team in our Wadsworth, Ohio facility. 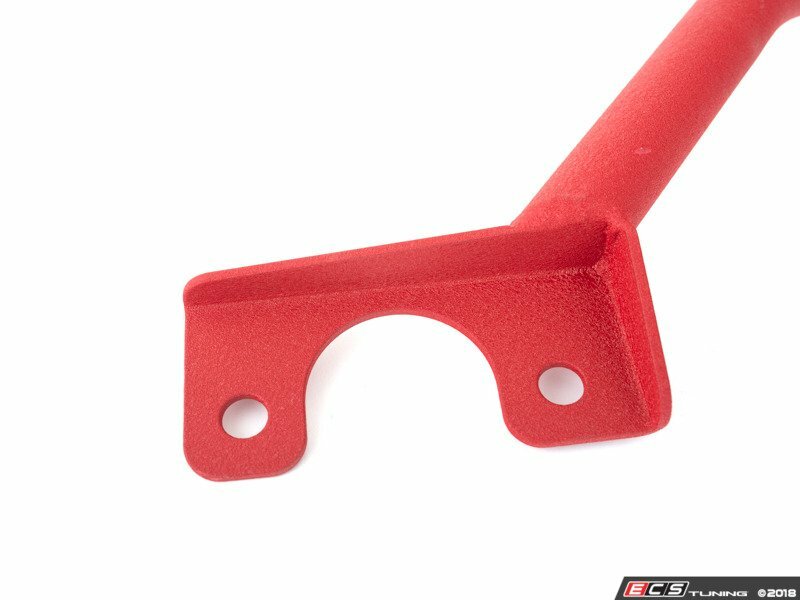 We strive for the highest level of precision and quality through leading edge product development technology including FARO laser scanning for reverse engineering and quality inspection, SolidWorks 3D CAD modelling, rapid prototyping utilizing our in-house 3D printer, and rigorous long term product testing. 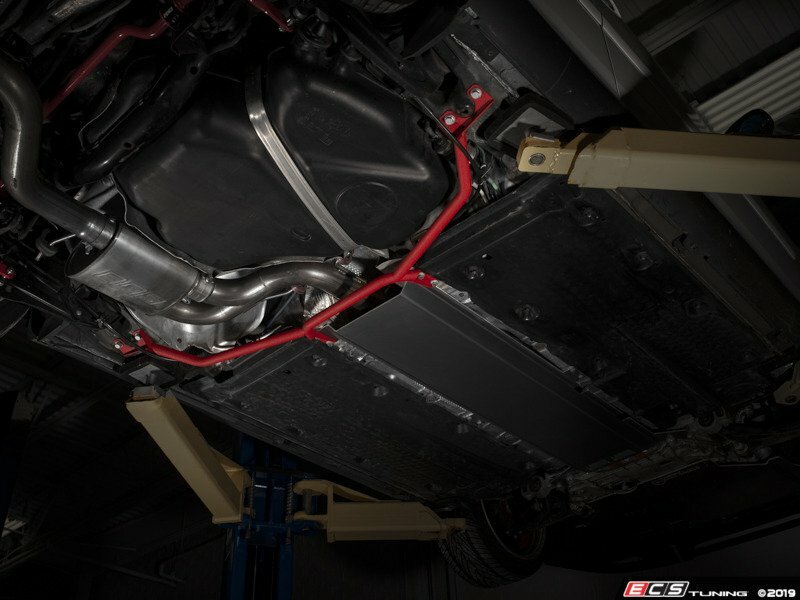 We put together a full installation tutorial from start to finish including how to remove your OEM parts. See our Installation PDF under the INSTALLATION Tab for more information. 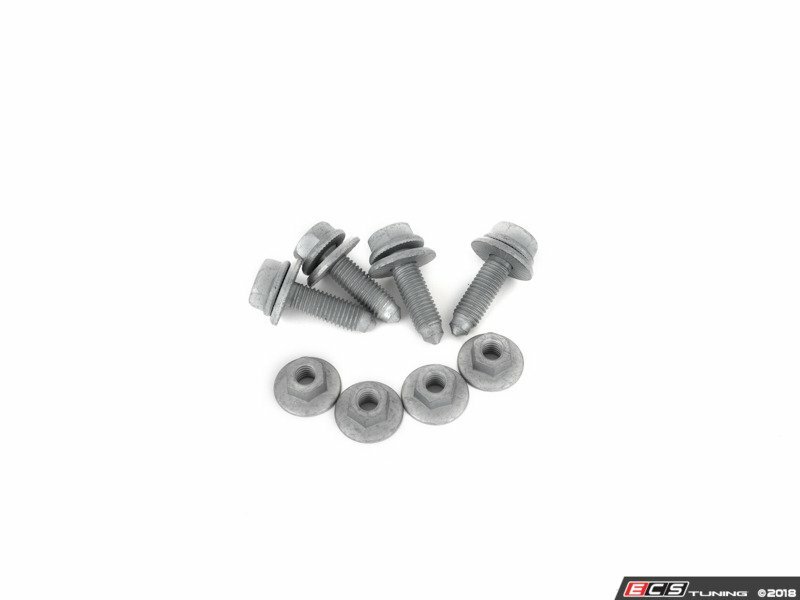 *Please NOTE:* This kit includes 1 chassis bar and necessary hardware for installation. 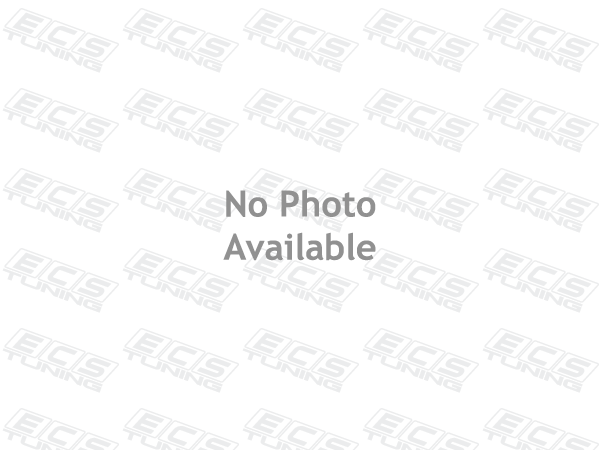 Other products shown in photos are for reference and are available for purchase separately.